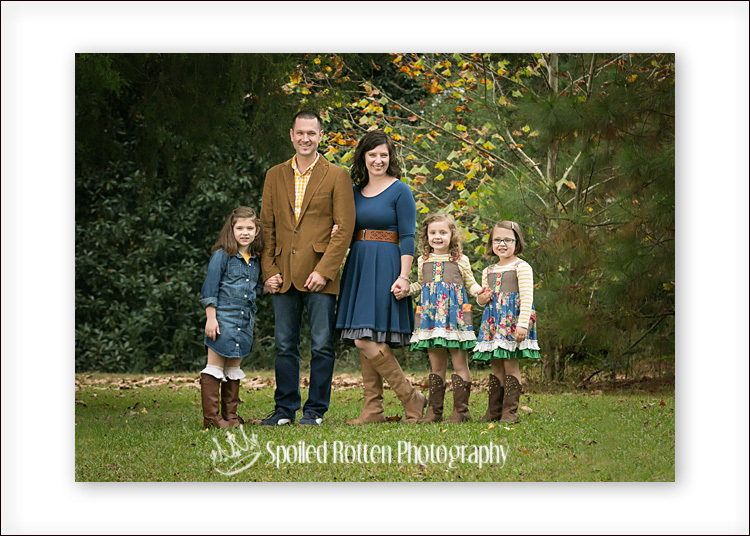 Join us for an outdoor family mini session on Saturday, Nov 12th in the Village of Providence. Melissa will be creating portraits on Nov 12th ONLY. Investment: Session fee is $50 and the minimum order is $225. See below for the special collections that are available for this session. NOTE: Melissa will not be doing any studio holiday portraits this year. She will have limited availability for custom sessions. 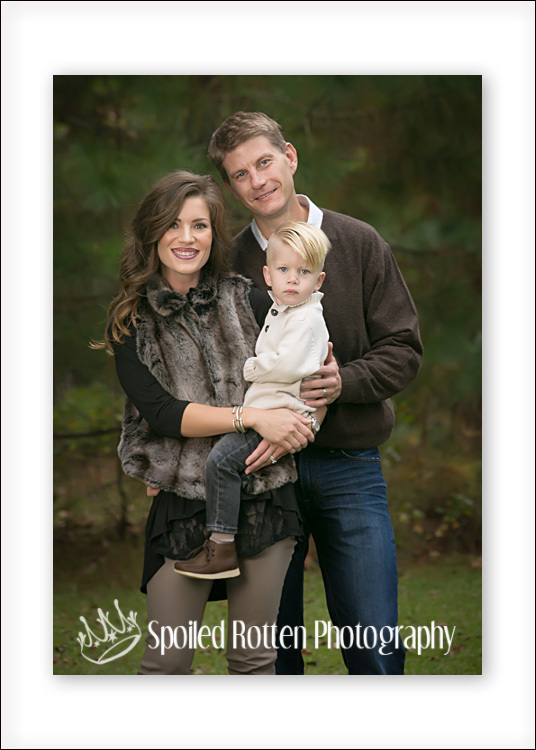 If you can not make it on Nov 12, contact Melissa directly (256-658-8275 or Melissa@SpoiledRottenPhoto.com) to schedule a custom session. Custom sessions are available with a $200 session fee and $450 minimum order. 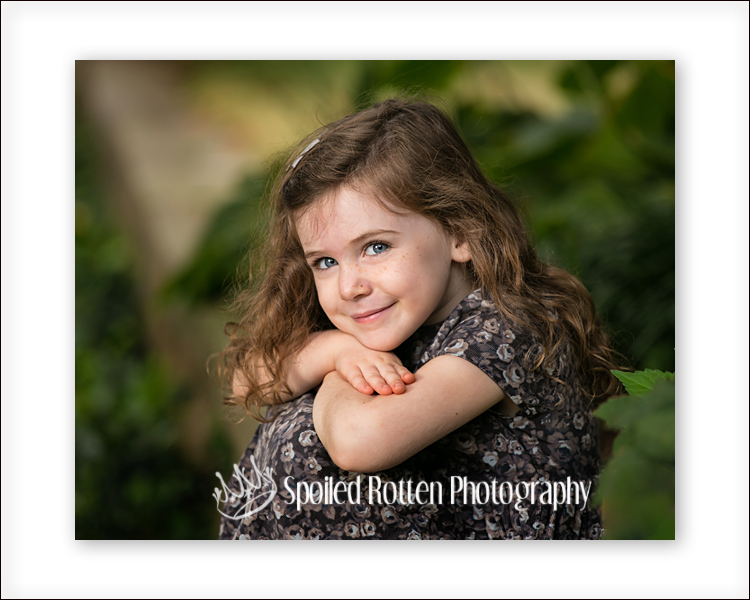 To reserve your session with Melissa on Nov 12th, you must do 2 things…. Add the session to your cart, and then check out to pay. After you have completed these 2 items, call Melissa 256-658-8275 to talk details of your session. Timing, what to wear, props, etc. Ordering: You will be sent an access code to view and order your portraits on-line.